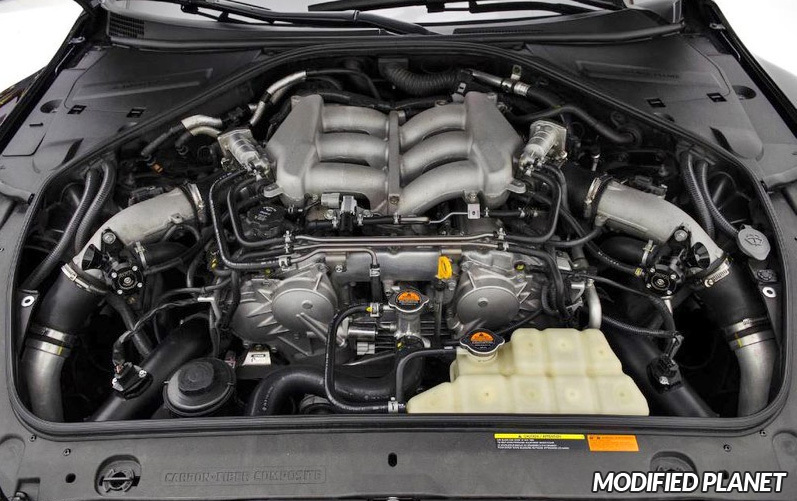 Go Fast Bits TMS Respons Hybrid Blow Off Valve installed on a modified 2009 Nissan GTR Premium. The Go Fast Bits TMS Respons Hybrid Blow Off Valve offers the ability to adjust the volume of your blow-off sound without the hassles even on sensitive MAF-based system. The Go Fast Bits TMS Respons Hybrid Blow Off Valve also holds unlimited boost pressure, provides up to 30% faster boost recovery on gearshift which allows for higher boost availability upon re-opening the throttle for instant response for any modified 2009 Nissan GTR Premium. 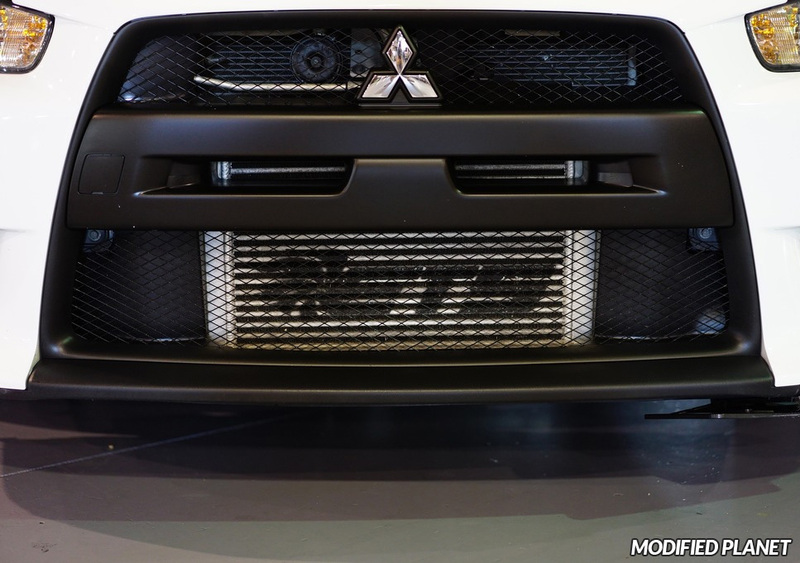 ETS Intercooler Upgrade installed on a modified 2013 Mitsubishi Evo X with Wicked White paint. The ETS Intercooler Upgrade provides the best possible air flow distribution through the intercooler core height making sure that all charge rows are used effectively. The ETS Intercooler Upgrade is bolt on, above the factory under tray and sits behind the factory crash beam of any 2013 Mitsubishi Evo X.
Invidia Q300 cat back exhaust system with titanium exhaust tips installed on a modified 2016 Subaru WRX Premium in Crystal Black paint. The Invidia Q300 cat back exhaust system features high quality 304 stainless steel construction, CNC-machined flanges, a high polished finish and 110 mm titanium exhaust tips. 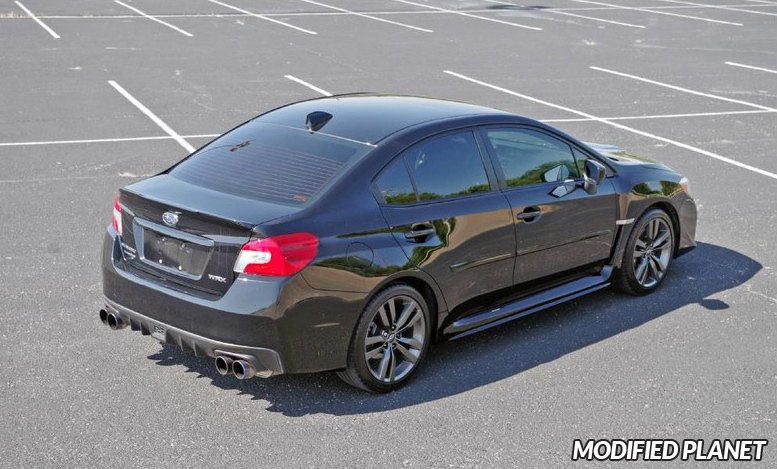 This Invidia Q300 cat back exhaust system also features 76 mm mandrel-bent piping for maximum exhaust flow and reduced back pressure on any modified 2016 Subaru WRX Premium. 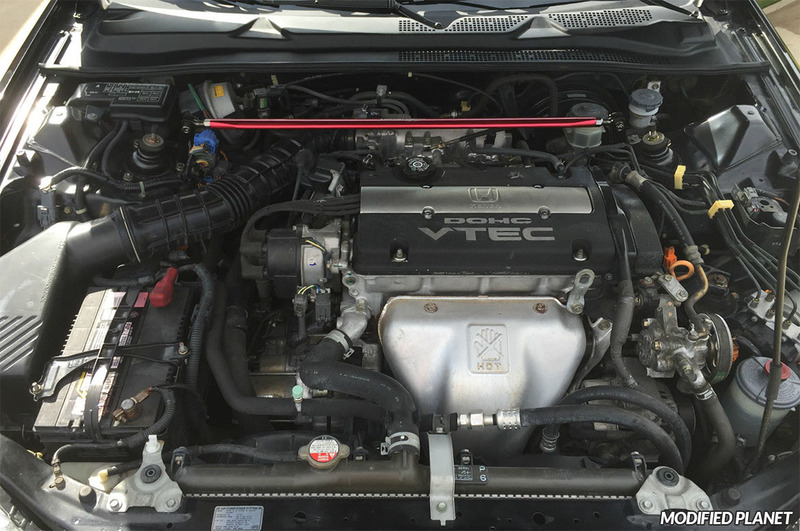 Tanabe Sustec Strut Tower Bar installed on a modified 2000 Honda Prelude in Nighthawk Black Pearl paint. The Tanabe Sustec Strut Tower Bar connects the strut towers which creates balance because the shocks are prevented from independently moving and causing small changes in suspension geometry. When a modified 200 Honda Prelude chassis bends, the suspension system is not being used to its full potential. 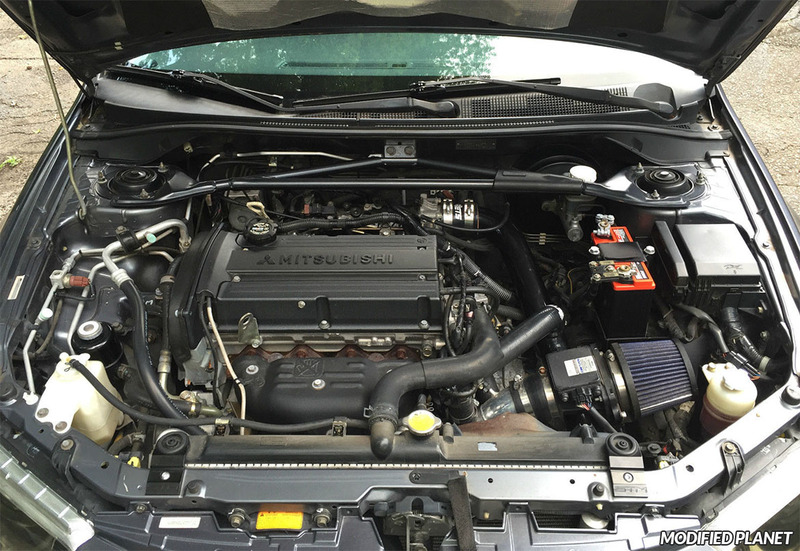 The Tanabe Sustec Strut Tower Bar allowing the stabilizers, springs and dampers to perform at its best on any modified 2000 Honda Prelude. 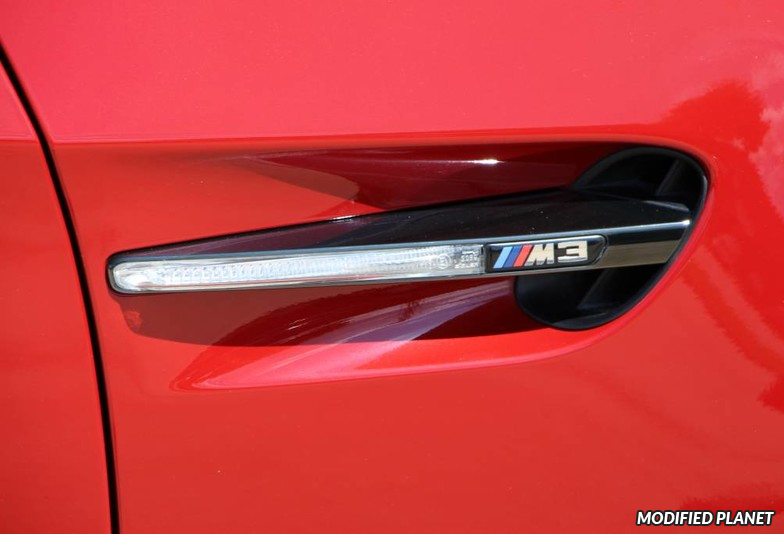 M Performance black side gills installed on a modified 2008 BMW M3 with Melbourne Red paint. M Performance black side gills create a more aggressive and streamline fender appearance for any modified 2008 BMW M3. 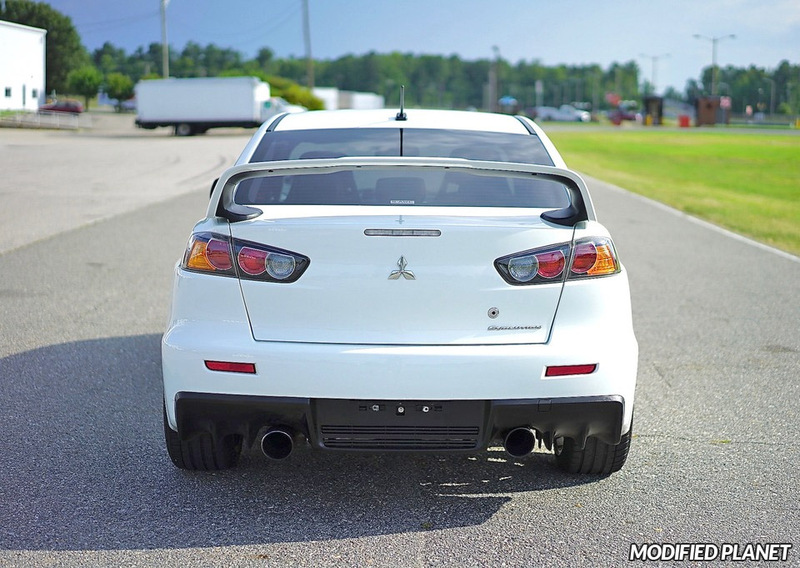 Ultimate Racing exhaust system with titanum exhaust tips installed on a modified 2013 Mitsubishi Evo X with Wicked White paint. The Ultimate Racing exhaust system features 304 stainless steel piping, true 3″ design to maximize airflow, 3/8″ thick machined flanges, TIG welds, dual high-flow mufflers and 4″ titanium exhaust tips. The Ultimate Racing exhaust system is also 100% bolt-on, requires no modification to the vehicle and provides an increase of 11.45 horsepower and 8.08 ft. lbs of torque for any modified 2013 Mitsubishi Evo X.
GT Styling smoked tail light covers installed on a modified 2013 Dodge Challenger with Billet Silver Metallic Clearcoat paint. 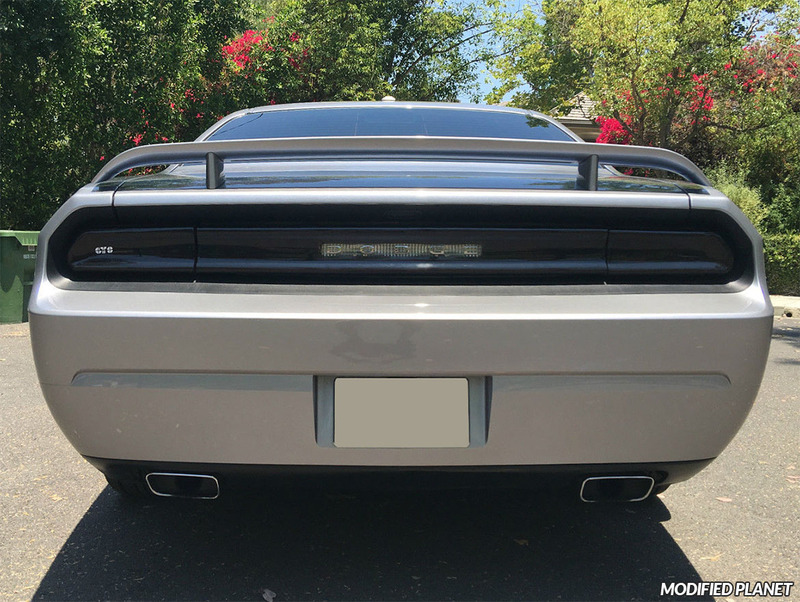 The GT Styling smoked tail light covers can be installed on the 2013 Dodge Challenger with no drilling or modifications. Every GT Styling smoked tail light covers is custom designed to add dynamic styling to any modified 2013 Dodge Challenger.